Fortitude Fire Protection, LLC is a fully licensed and insured company with a team of professionals with over 30 years of experience in the fire and life safety industry. Our professional staff is punctual and provides high quality workmanship and dedication to customer satisfaction. Employees hold professional certifications and have been background screened. Fortitude Fire Protection is a drug-free workplace. Services provided are: inspections, new installs, retrofits and renovations, service and repairs, backflow testing and repairs, design, permitting, fabrication and fire main underground. All work done per NFPA standards. 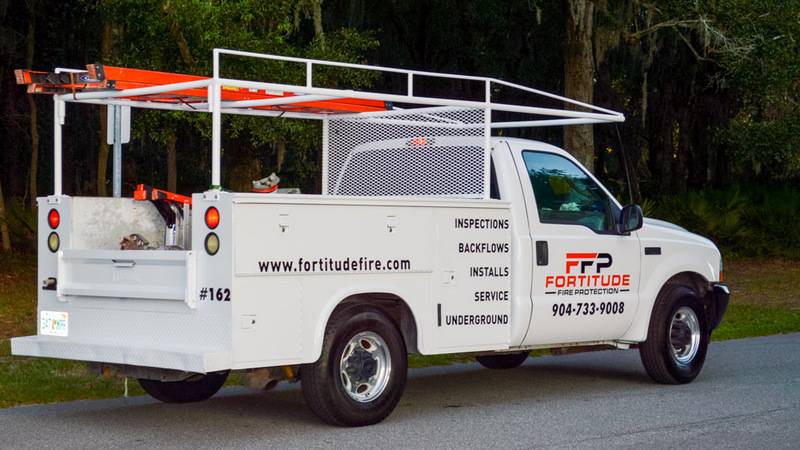 At Fortitude Fire Protection, your safety and satisfaction is our #1 priority. and have been background screened. Copyright 2019 Fortitude Fire Protection, LLC.